While Ontario’s economy has been performing well, the benefits of economic growth have not been shared evenly across the province. As the economy continues to change, it is getting harder for people to get ahead. Increasingly, families are facing mounting cost pressures impacting their ability to care for their loved ones. To help make life more affordable, the government has introduced programs like full-day kindergarten, free college or university tuition, free prescription medication for eligible children and youth under the age of 25, and a $15 per hour minimum wage. However, there is more work to do. Investing up to $242 million over three years in Ontario’s Strategy to End Gender-Based Violence towards its commitment to create a province free of gender-based violence. The Province will continue to remove barriers to help all Ontarians reach their full potential because a healthier Ontario — where nobody is left behind — is a stronger Ontario. The government is ensuring everyone in Ontario can rely on the province’s publicly funded health care system — where and when they need it. The government is committed to ensuring that the delivery of health care is fair and easier to access for all people in Ontario. The Province is delivering on its commitment by building care around the patient, making prescription drugs more affordable, making historic investments in mental health, and expanding access to home and long-term care. Increased health care investments of $5 billion over three years will support and strengthen the continuum of care, while also building capacity in the home and community and long-term care sectors. The government will also provide additional supports for mental health and addictions services, and ensure that care providers have the training and support to meet the needs of their patients. 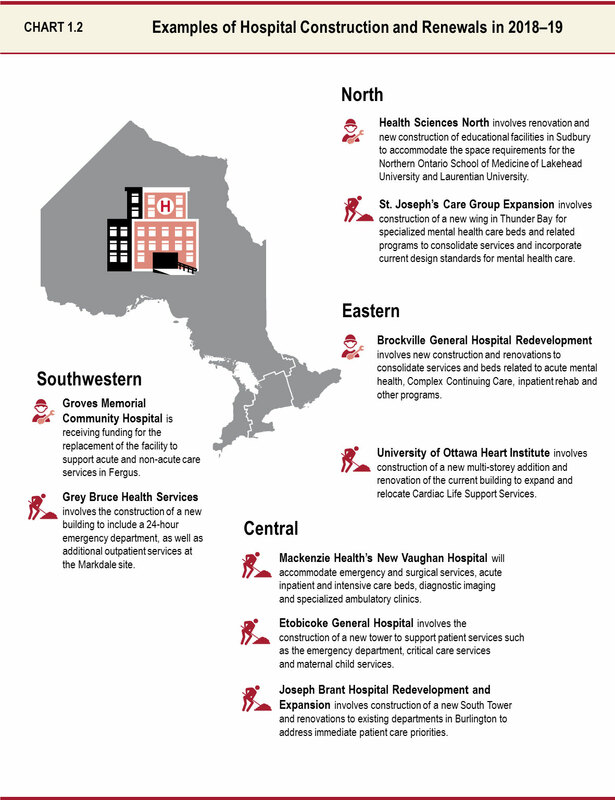 Hospitals are fundamental to the delivery of health care services for people across Ontario. However, they are facing unprecedented challenges related to a growing and aging population and increasing medical complexity of patients — addressing these challenges requires a full system response. $100 million to provide 1,200 additional beds across the province, addressing increased demands for care and expanding hospital capacity in advance of the flu season. In this Budget, the Province is investing an additional $822 million in 2018–19, contributing to a 4.6 per cent growth in funding for hospitals, bringing the total to nearly $19 billion. This increased investment enables a strong, stable hospital system that continues to deliver high-quality patient care for all Ontarians. This investment will ensure all hospitals receive an increase in funding to help reduce wait times and provide flexibility to meet the needs of their local communities. $54 million to increase access to specialized services such as bariatric surgeries, organ transplantations, neurosurgical services and critical care, so Ontario can continue to be a world leader in health care. $4 million to expand innovative, advanced stroke care with 135 additional procedures for endovascular treatment. Ontario is moving forward on its commitment to invest up to $10 million to create a Centre of Excellence in Health Care Artificial Intelligence, starting with $1.3 million in 2018–19. The government is partnering with St. Joseph’s Health System Hamilton, Niagara Health System, McMaster Faculty of Health Sciences and the Vector Institute on this initiative. Ontario is investing $4 million to create the Ontario Fetal Centre at Mount Sinai Hospital, Canada’s first and only specialized centre for fetal care. The centre is a partnership between Mount Sinai and the Hospital for Sick Children (SickKids) that will provide advanced fetal treatment, such as heart and spinal surgeries while in-utero, as well as streamlined support services related to assessment and recovery — procedures previously available only out-of-country. In November 2017, Mount Sinai Hospital and SickKids teamed up to perform Canada’s first in-utero spina bifida surgery, which was successful. Beginning in 2017, Ontario is investing $25 million over two years to enable patients to access their own health information and communicate with their health care providers digitally. For example, through the new Digital Yellow Card, Ontarians now have access to electronic versions of their, or their children’s, full immunization history, making it easier to track immunization records. The Province invested $3 million to establish a new surgical innovation program to support innovative surgical technologies in hospitals. Starting in 2018, the first area of focus is robot-assisted surgeries, an innovative approach that allows surgeons to use robots for greater precision. This program will support up to 1,000 surgeries. The government is committed to investing in hospitals providing essential services to patients and their families. By ensuring the people of Ontario are able to access the treatment and services when and where they need them and closer to home, the Province is upholding its commitment to provide greater fairness in the delivery of health care. Over the next 10 years, the Province will provide approximately $19 billion in capital grants to hospitals to continue building infrastructure that will support the health needs of local communities and residents. This includes a commitment to support the construction of major hospital projects provincewide, including the Hospital for Sick Children, the Centre for Addiction and Mental Health, Ottawa Hospital, Scarborough and Rouge Hospital, North York General Hospital, Lakeridge Health and South Bruce Grey Health Centre. See Table 1.1 for more details. Across the province, approximately 40 major hospital projects are under construction or in various stages of planning. These investments will address the increasing demand for health care services and enable patients to have better access to care. By continuing to invest in health infrastructure and renewal, Ontario’s health care system will remain sustainable, and patients can continue to rely on high levels of care in their own communities. London Health Sciences Centre: Stem Cell Expansion Project An expansion of inpatient and outpatient clinics to increase access to the stem cell transplant program. South Bruce Grey Health Centre: Kincardine Redevelopment Project Renovations will expand the emergency department, to address the aging infrastructure and optimize the use of existing hospital space at the Kincardine Site. Hospital for Sick Children (HSC): Project Horizon Project Horizon involves new construction and renovations to HSC’s current campus to increase and improve the hospital’s capacity to deliver high acuity specialized pediatric services. Centre for Addiction and Mental Health: Phase 1D Redevelopment Project The project involves new construction and renovations to replace outdated facilities for forensic mental health services, as well as for the consolidation of research and support services on the hospital’s Queen Street site. Scarborough and Rouge Hospital: Major Redevelopment Project Based on the recommendations of the Scarborough/West Durham Panel, Ontario is supporting a major redevelopment of the facilities of the Scarborough and Rouge Hospital. The project will address demand for expansion of services and aging infrastructure. North York General Hospital: General Site and Ambulatory Care Centre Redevelopment Project The construction of an addition and renovations to the General site will enhance inpatient clinical and non-clinical support programs, increase inpatient beds, and expand emergency programs. A new ambulatory care facility will also be built to support outpatient programs and regional ambulatory services. Georgian Bay General Hospital (GBGH): Waypoint Centre for Mental Health Care Redevelopment Project (Midland/Penetanguishene) Redevelopment of GBGH to accommodate 20 acute mental health beds from Waypoint Centre for Mental Health Care and renovations to a community hub for delivery of Waypoint’s related programming to provide a full spectrum of acute mental health services for this community and a new location for the Chigamik Community Health Centre. Lakeridge Health Corporation: Hospital Redevelopment Projects Investments in Lakeridge Health, including the redevelopment of the Bowmanville site. Projects will be informed by the recommendations of the Scarborough/West Durham Panel and address demand for expansion of services and aging infrastructure. Weeneebayko Area Health Authority (WAHA): New Replacement Hospital Project (Moosonee) Ontario’s share of a new health care campus for WAHA. The Province is encouraged that the federal government has also committed funding to support WAHA as part of its 2018 budget. Thunder Bay Regional Health Sciences Centre: Cardiovascular Surgery Project Construction and renovations to accommodate the components of a new comprehensive cardiovascular surgery program and allow for innovative models of care. Kingston General Hospital: Phase Two Redevelopment Project Construction and renovations to the operating rooms, laboratories, emergency department, perinatal services (neonatal intensive care unit and labour and delivery suite) and inpatient unit at the existing Stuart Street site to improve infrastructure. Ottawa Hospital: Civic Campus Redevelopment Project Redevelopment of the Civic Campus in a phased approach. It will support projected growth, replace aging facilities and consolidate services. OHIP+ provides free prescription drug coverage to all eligible children and youth under the age of 25. Ontario is the first province to provide drug coverage at no cost to all eligible children and youth under the age of 25, regardless of income. This annual investment of $465 million represents the largest expansion to medicare in Ontario in a generation. OHIP+: Children and Youth Pharmacare covers over 4,400 drug products currently funded through the Ontario Drug Benefit (ODB) program, as well as additional drugs eligible for funding through the Exceptional Access Program, for qualifying individuals. Since OHIP+ began on January 1, 2018, more than two million prescriptions have been filled for over one million children and youth at no cost, including antibiotics, inhalers for asthma, insulins, oral diabetic medications, medications for mental health conditions, attention deficit hyperactivity disorder drugs and oral contraceptives. Through OHIP+, families with children with Type 1 diabetes can save approximately $8,600 on their medication costs over the course of childhood. As of January 1, 2018, this medication is free. Since 2017, the number of people in the province who can benefit from prescription drug coverage under the ODB program has nearly doubled to cover close to 60 per cent of the population. This includes four million children and youth, over two million seniors and more than one million people on social assistance. Building on the success of OHIP+, in this Budget, Ontario is taking the next steps to expand access to, and improve the affordability of, prescription drugs. Starting in August 2019, OHIP+ will be expanded to seniors, eliminating the annual deductible and co-payment for seniors under the ODB program — saving the average senior approximately $240 annually. Seniors’ prescription medications funded through the ODB program will be free-of-charge, regardless of income. This represents an investment of about $575 million per year by 2020–21. Much like the leadership role the Province played in enhancing the Canada Pension Plan (CPP), Ontario is leading the way in national pharmacare by expanding OHIP+ to seniors. The government continues to work collaboratively with its federal, provincial and territorial partners to improve the affordability, accessibility and appropriate use of prescription drugs for Canadians. See Chapter IV, Section B: Working with Federal, Provincial, Territorial and Municipal Partners for more details. Research suggests that about one in four working-age Ontarians does not have access to extended health benefits, either through their employer or a government program such as OHIP+, and about 60 per cent of seniors do not have a plan that covers dental services. Those without an extended health plan include many precariously employed workers, as well as self-employed and unemployed individuals. Without an extended health plan, people may not be able to afford to fill their prescriptions or seek adequate dental care. This can lead to poor health outcomes and the need to seek emergency care. That is why the government will take further steps to help people with the cost of eligible prescription drugs and dental services. Through the Ontario Drug and Dental Program, an eligible family of four could receive up to $700 in support for their drug and dental costs each year. The government will introduce a new Ontario Drug and Dental Program for individuals and their families who do not have coverage from an extended health plan, starting in summer 2019. This program would reimburse participants for up to 80 per cent of eligible prescription drug and dental expenses, up to an annual maximum of $400 for singles and $600 for couples, plus $50 for each child in the family. Final design will be informed by consultation. This represents a total investment of more than $800 million over the first two years of the program. Each patient has a unique story and different needs. They require a health system that is adaptable to their individual care requirements. Team-based care allows for the highest quality care possible — with the patient and their caregivers as the most important parts of that team. Helping people with their specific health care goals and needs, interprofessional care teams deliver primary care ranging from chronic disease management and addressing complex health needs, to helping deal with life challenges that negatively impact their health. That is why the Province is investing $102 million over three years to support the expansion of interprofessional primary care teams, focusing on areas that have the greatest need, so that people living in all regions of the province have access to team-based primary care. This investment will result in 19 new or expanded teams that will recruit nearly 100 new health professionals such as nurse practitioners, registered nurses, social workers, psychologists, chiropractors, physiotherapists and pharmacists to provide direct primary care services to patients who can benefit most from team-based primary care. Nurses are a vital part of our health system and deliver high-quality, direct care for patients and families in primary care, hospitals, long-term care, home care and throughout the health system. That is why over the last year, the Province expanded the scope of practice to allow registered nurses to independently prescribe drugs in certain circumstances and nurse practitioners to prescribe controlled drugs and substances. This aligns with the government’s decision to provide more supports to nurses with post-traumatic stress disorder. The Province is also investing approximately $330 million over three years to support the recruitment and retention of health care professionals for primary care teams across the province. This includes professionals working in Aboriginal Health Access Centres, community health centres, Nurse Practitioner-Led Clinics and on family health teams, as well as other settings that collectively serve four million patients across Ontario. Supporting Compassionate Communities, which leverages the skills and capacities of local health care providers and community members to ensure that patients and caregivers receive holistic care that optimizes quality of life, helps them deal with loss and improves population health. Ontario will invest up to $1 million over three years to develop and evaluate models of perinatal hospice care. Perinatal hospice care includes comprehensive support and care to help families who are expecting the birth of a child and who have received a diagnosis indicating that the fetus or infant may not survive through pregnancy, delivery or in the postpartum period because of a life-limiting illness or abnormality. Mothers and families will gain a better understanding of their care options and receive appropriate referrals to the medical, bereavement and other services that they need. The government has committed to taking action on concussion prevention, management and awareness in amateur competitive sport and in publicly funded schools across Ontario. In March 2018, Ontario passed concussion safety legislation — Rowan’s Law (Concussion Safety), 2018 — to protect amateur competitive athletes and make sport safer on the field and at school. The Province is investing $5 million over three years to support implementation. Rowan’s Law will make Ontario a national leader in concussion management and prevention by establishing mandatory requirements for the annual review of concussion awareness resources, removal-from-sport and return-to-sport protocols, and concussion codes of conduct. Approximately 70 per cent of mental health and addiction issues begin in childhood or adolescence and one in every three people in Ontario over age 15 will experience a mental health and/or substance abuse challenge at some point in their lives. Recognizing that there is no health without mental health, and that early intervention can improve outcomes, the government is committed to ensuring that people living with mental illness or substance abuse disorder have timely access to the high-quality care and supports they need to live a healthy life. The government has been working with leaders in the sector to transform the system and improve coordination to bridge the gap between publicly funded services and demand. The Mental Health and Addictions Leadership Advisory Council has been critical in providing recommendations and shaping the government’s actions on building a stronger mental health system. In this Budget, the government is making a historic investment of an additional $2.1 billion over the next four years in a more integrated, high-quality mental health and addictions system for people of all ages across the province — so they can recover and live healthy and meaningful lives in their communities. This brings the total investment in mental health and addictions services in the province to more than $17 billion over four years. Through this investment, Ontario is expanding high-quality services to help meet the mental health needs of tens of thousands more children, youth and adults across the province. It is also providing more accessible, better integrated care so patients and families receive the services they need, leading to improved patient experience and care outcomes. This includes up to 100 acute-care beds across the province. Provide standardized training to primary care teams and community mental health and addictions agencies so they can provide high-quality structured psychotherapy services. Providing First Nation, Inuit and Métis children and youth with a range of culturally appropriate and preventive mental health services that are community-designed and delivered, and increasing access to front-line support and programming in every First Nation, Inuit, Métis and urban Indigenous community. Children’s Hospital of Eastern Ontario–Ottawa Children’s Treatment Centre (CHEO–OCTC) — Ontario is helping children and youth with special needs and their families receive better care close to home by contributing $105 million to support the construction of a new building that will help integrate care and offer families timely and effective services and supports. The new building will further support CHEO-OCTC in delivering rehabilitation services for children and youth with special needs, including specialized programs for eating disorders, autism, and sexual assault, and services in psychiatric mental health, telepsychiatry and early language development. Project Zero — Ontario will invest $3 million over three years to build and expand tools and services to support children, teachers, front-line health care professionals and community leaders to improve mental health outcomes in Mississauga. The project will be delivered through a new and innovative cross-sectoral partnership between the Institute for Better Health, Mississauga Halton Local Health Integration Network, Peel Children’s Centre, Peel District School Board, Peel Public Health and Trillium Health Partners. Provide additional funding for School Mental Health ASSIST, a provincial support team designed to help Ontario school boards promote student mental health and well-being. To help ensure college and university students have access to mental health services and supports, the government is investing $6 million per year, as announced in the 2017 Budget, to support the development and/or expansion of mental health services on campus. The government is committed to promoting mental health beginning in the early years of a person’s life. Up to five Public Health Units will receive one-time funding for initiatives that promote mental health for school-aged children and youth. Individuals, families and communities across Ontario continue to be impacted by opioid addiction and overdoses. In response to the current crisis, the government is taking action by investing more than $222 million in the implementation of its Strategy to Prevent Opioid Addiction and Overdose. To combat the crisis, Ontario is working with the Opioid Emergency Task Force, which includes front-line workers and people with lived experience. This government will provide person-centered, stigma-free services to people in their own communities, including funding supervised consumption services and overdose prevention sites. Providing $7 million for seven supervised injection sites in Toronto and Ottawa to improve access to harm reduction supplies and naloxone. Supporting Ontario’s first Overdose Prevention Site, to provide core harm reduction supports and service. The first site opened in London in February 2018, and four additional sites have been approved. Adding new staff at Public Health Units to support local opioid response initiatives, including expanding naloxone distribution through eligible community organizations. Adding new front-line harm reduction outreach workers to connect vulnerable populations with necessary harm reduction supports and vital health and social services. In 2017–18, the government funded 19 additional harm reduction outreach workers. Naloxone, the overdose prevention drug, is now available free of charge at 2,390 participating pharmacies in nearly 260 cities and towns in the province. The government has distributed over 114,000 naloxone kits to date. The government is addressing demand for naloxone by expanding access through front-line community organizations, as well as offering naloxone to police and fire services. In April 2018, the Ontario Naloxone Program for Pharmacies will be expanded to include naloxone intranasal spray, which means eligible Ontarians will have the choice between obtaining injectable or intranasal naloxone kits from their pharmacist. One-quarter to one-half of all homeless people live with a mental health condition. Research shows that having a stable, supportive place to live is essential for maintaining mental health and can improve involvement within the community. For this reason, Ontario will invest $425 million to provide 2,475 additional supportive housing units over four years to reduce homelessness and prevent recidivism for people in frequent contact with the justice system. This includes 525 newly built units for people with complex mental health and addictions needs to help ensure they can continue to receive the services and supports they need. To date, Ontario has created 17,000 supportive housing units. This idea was among the five most voted for ideas for funding through Budget Talks, an innovative online public consultation tool. The government is committed to promoting mental health for people identified as at risk of poor health outcomes. Up to five Public Health Units will receive one-time funding for initiatives that promote mental health, including assistance for those who are underhoused and living in rural and remote regions. The government is establishing a new Local Service Priority Fund, which will strengthen mental health supports, including for LGBTQI2S, racialized, francophone, newcomer and rural youth who are underserved. 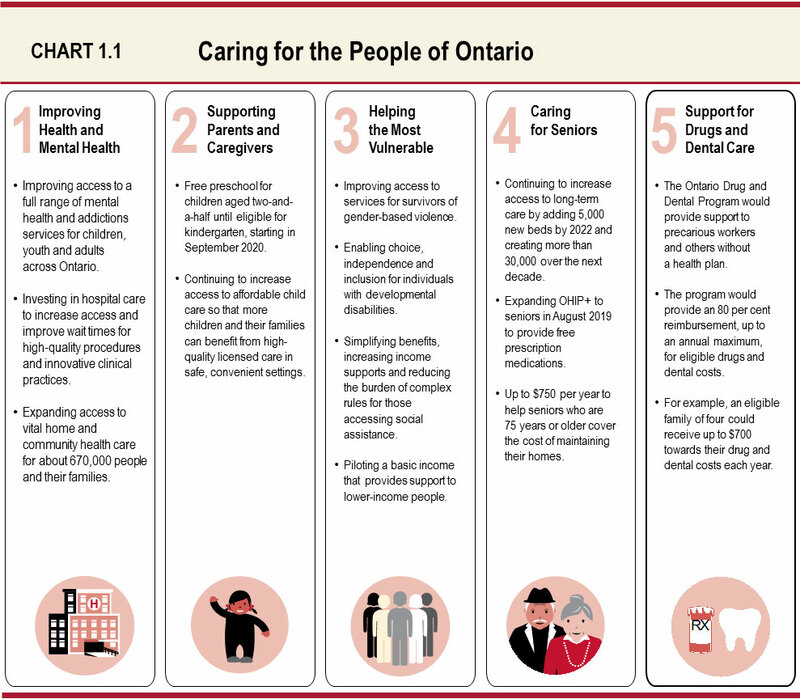 The Province will also improve access to relevant, high-quality services for all people in Ontario, including Indigenous peoples, racialized and refugee populations, LGBTQI2S people and those who have experienced gender-based violence, and assist people who need immediate hospital care for mental illness or addictions in getting the help they need. The Province is expanding support for caregivers of people living with mental health and addictions issues across Ontario. Caregivers, often unpaid family members and friends, can experience significant levels of stress and mental health challenges themselves. These supports will be designed to improve their quality of life and ensure they have access to more services to better care for their loved ones. Access to affordable, quality child care is essential for families across the province, yet some continue to struggle to find or afford this care. Ontario is committed to ensuring that the ability to pay is not the basis for access to reliable child care. The Province is investing $2.2 billion over three years to increase access to child care and affordability for more Ontario families by introducing free preschool starting in September 2020. This investment also includes about $1 billion over three years to support reduced fees and more subsidized spaces for infants and toddlers. To advance the goal of universal accessibility, Ontario will implement free licensed child care for preschool-aged children from the age of two-and-a-half until they are eligible for kindergarten, beginning in September 2020. This means that all families with children in licensed child care at this age will receive free full-day preschool. This helps reduce the burden of cost for families and eases the transition from child care to school for children. In Toronto, a family with a preschool-aged child could save an average of over $20,000 during the time their child is enrolled in a licensed preschool program. A family with two children could save almost $40,500 on average. The government will also be investing $534 million over the next six years to build 10,000 preschool child care spaces in schools and 4,000 community-based spaces. Ontario is providing high-quality, affordable licensed child care. In 2016, Ontario announced a historic investment to help 100,000 more children up to age four access licensed child care over five years, increasing the capacity for child care in Ontario for children in this age group. As part of this commitment, the Province is investing $1.6 billion over five years in capital funding to create 45,000 new licensed child care spaces in schools and other community settings. The commitment also includes ensuring that families with low and middle incomes benefit from access to new spaces, by providing subsidies for approximately 60 per cent of all new spaces, moving Ontario towards universal accessibility. Subsidies allow more children and their families to access quality licensed care. In 2018–19, over 111,000 children will be receiving child care subsidies, a 20 per cent increase from 2016–17. In the District of Timiskaming, licensed home child care is being expanded to support more families in rural areas, including many who require extended care outside of regular work hours. The Region of Waterloo’s fee subsidy waitlist of 272 children has been eliminated, and access has been created to more than 200 spaces for children aged zero to four. In Toronto, the fee subsidy waitlist has been reduced by 3,581 children. Ottawa expects to eliminate the waitlist for infants and toddlers and provide an additional 682 children aged zero to four with access to a licensed child care space. A three-room addition to create 54 child care spaces at Lake Simcoe Public School in Innisfil. Families also need support for older school-aged children. Parents’ and caregivers’ schedules often differ from school hours, making access to before- and after-school programs essential for many families. The government recognizes this need and is committed to making sure that children up to age 12 can access safe, high-quality programming. As of September 1, 2017, Ontario now requires school boards to provide before- and after-school programs for children up to age 12 in all publicly funded elementary schools serving students up to Grade 6, where there is sufficient demand. With contributions from the Canada-Ontario Early Learning and Child Care Agreement, the City of Kingston is providing funding for four new licensed before- and after-school programs. This is creating access to approximately 78 spaces for children four to five years old and 30 spaces for six- to 12-year-olds, beginning in 2017. This year, more than 80 per cent of elementary schools offer before- and after-school programs for children aged four to 12, and there are 19,000 more licensed care spaces for children in this age group than in 2016. Expanding access for children in this age group is part of the government’s commitment to provide an integrated and affordable child care system. Ontario recognizes the integral role of a highly skilled and valued ‎workforce in building a quality child care and early years system. Investing in child care and early years professionals is critical to building a strong, healthy and lasting system for children and families. In 2017, the government committed to developing an Early Years and Child Care Workforce Strategy to develop ways to further support early years professionals in areas such as compensation, hiring, retention and professional development. 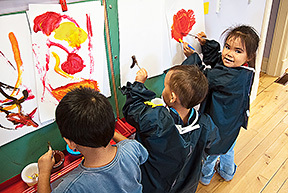 Starting in April 2020, the government will implement a wage grid in the early years and child care ‎sector for program staff working with children. The wage grid will be phased in over two years and will include supervisors, early childhood educators (ECEs) and non-ECE staff working in licensed child centres, licensed home child care agencies, and EarlyON child and family centres. The commitment to a wage grid forms one part of the longer term strategy that is being developed to ensure that families continue to benefit from high-quality child care and early years programming delivered by engaged and knowledgeable educators. Ontario is backing culturally relevant programs that are designed by and delivered for First Nation communities. The Province is committed to the development of innovative solutions to address current, pressing early years and child care needs across the province. That is why the Province is moving forward with a new investment of $30 million over two years to create an Early Years and Child Care Innovation Fund. The fund will support the development of flexible and unique solutions in the not-for-profit sector, including solutions that address the need for irregular care hours and transportation in rural and remote communities. Creating more opportunity for young children and their families is one of many steps on The Journey Together: Ontario’s Commitment to Reconciliation with Indigenous Peoples. See Chapter IV, Section A: Working with Indigenous Partners for more on the Province’s work with Indigenous partners and the federal government. Many Ontario seniors want to live independently and prefer to stay in their homes, but worry about money and savings. The government is dedicated to improving the quality of life for seniors and helping them lead safe, engaged, active and healthy lives. This includes assisting older seniors who may be struggling to cover the cost of maintaining their homes, especially when illness or reduced mobility could require them to pay for services such as snow shovelling, lawn cutting or house cleaning. According to 2016 Statistics Canada data, Canadian seniors spend more, on average, than other age groups on domestic and other custodial services. The government proposes to introduce the new Seniors’ Healthy Home Program starting in 2019–20, that would provide over $1 billion over three years to help seniors with the costs of maintaining their homes. The government’s goal is to design a benefit that provides up to $750 per year for every eligible household led by seniors who are 75 years or older. The government will consult with seniors’ groups and other stakeholders on the design of the benefit, including what specific types of expenses should be eligible. Legislation would be introduced after consultations are completed. Home and community care services support people who need nursing, personal support or other health supports in their homes, at school or in the community. With these supports, seniors and people of all ages with complex medical conditions can often stay in their own homes, or be cared for in the community longer. Home care can also help provide a smooth transition for people who need support after returning from a stay in hospital, rehabilitation or another health care setting. The total number of home and community care clients has increased almost 20 per cent in the past 10 years. The government has increased its investment in the sector by about $250 million per year since 2013, and has more than doubled funding for home and community care since 2003. These funding increases address rising demographic pressures from a growing and aging population, and help more people get the care they need, at or close to home, and in the community. Ongoing home care funding of more than $3 billion per year now provides about 670,000 clients and their families with more access to home and community health care services from professionals like registered nurses, physiotherapists, social workers, registered practical nurses and personal support workers (PSWs), and enhances other important services, such as caregiver respite. In 2017, Ontario invested an additional $140 million in home care, and an estimated 15,000 more people received care. The Province also provided support and rehabilitation, with over 500 new, transitional care spaces for up to 1,700 people who were ready to leave hospital, but needed some added assistance before returning home. These investments will provide clients and their families with expanded services to meet the needs of the rising number of seniors and others requiring home care, and the higher service levels required for home care clients with more complex needs. The government is investing an additional $650 million in home care over the next three years. Part of this investment includes $180 million in new funding that will make available 2.8 million more hours of personal support, including caregiver respite, plus 284,000 more nursing visits and 58,000 more therapy visits. This funding will help clients with complex needs leave the hospital and return home to appropriate home care when they are ready, and will help them avoid unnecessary emergency department visits and hospital readmissions. Improved working conditions and contract rates for PSWs, registered practical nurses, registered nurses and therapists, with a new investment of $45 million. Mrs. Singh is a 95-year-old who remains alert, engaged and capable of living independently. She continues to live in her home, but she is alone and frail due to advanced arthritis. She receives two hours a day of personal support to help her prepare her meals, bathe and perform some routine activities around the home. Because of Ontario’s investment, Mrs. Singh will receive an additional one to two hours of personal support per week, or an estimated 100 additional hours a year. Personal support services allow her to remain in her home — where she wants to be — instead of requiring admission into long-term care. Personal support workers represent one of the largest groups in Ontario’s health care workforce. The PSWs provide more hours of home care to clients than any other provider. If clients or family members are receiving care at home, in a long-term care home or in hospital, they have likely received care involving a personal support worker. Simply put, PSWs are critical to the health and well-being of Ontarians. As the population ages and more medically complex clients seek care at or close to home, the role of PSWs in the province’s health care system will continue to be critical. That is why it is so vital that the government recognizes and supports PSWs as trusted and valued members of the health care team — maintaining the supply of personal support workers and giving them the tools and training they need to provide quality care to our most vulnerable Ontarians, wherever they may live. Over the next three years, the government will invest an additional $23 million to add an estimated 5,500 PSWs to the workforce to ensure home care clients will get the care they need, including in currently underserved areas such as rural, northern and remote communities. It is also estimated that the new investment of $180 million to expand home care could add 2,805,000 personal support service hours, or the equivalent of 1,400 full-time personal support worker positions. Enhance training and skills development — Over the next three years the government will invest an additional $38 million in education and training for new and existing PSWs to ensure they have the tools they need to meet the changing and increasingly complex home care needs of Ontarians. This is in addition to the existing PSW training fund. Invest in retirement security — To help PSWs who work in publicly funded home care to save for retirement, the government will invest $65 million over the next three years. ‎Working with their employers, Ontario will pilot a program ‎that provides an initial contribution to a group Tax-Free Savings Account on behalf of eligible PSWs. PSWs who make additional contributions would have their contributions matched to a maximum of 2.5 per cent of their earnings. The Province will consult on this initiative. Investing $75 million over three years to strengthen and expand palliative and end-of-life care, including support for up to 20 new hospices across Ontario. The Ontario Caregiver Tax Credit also came into effect in 2017 to simplify and enhance access to tax relief for people caring for infirm relatives, thereby easing the financial burden often felt by those who take care of loved ones. More than 190,000 people across Ontario are living with dementia, a number that is expected to grow as the province’s population ages. That is why the government is investing more than $100 million over three years in the Province’s Dementia Strategy, including $34.5 million to expand community dementia programs and respite care services to improve the lives of people living with the disease and their families. These programs offer activities such as art, music and exercise, which can provide meaningful social and recreational engagement and lead to enhanced well-being. As part of the Province’s Dementia Strategy, the Alzheimer Society of Ontario’s First Link program will be expanded over three years to communities across Ontario, with the addition of 46 new First Link Care Navigators. This will expand access to a patient navigator who can help those living with dementia and their care partners access the services of health professionals, information about day-to-day living and care, counselling, and other community programs and services. This will make access to care more consistent and fair for 14,000 people newly diagnosed with dementia, regardless of where they live. By 2020, Ontario will increase access to community dementia programs to support an additional 8,000 people living with dementia, while providing respite to their families and other care partners. Long-term care homes across the province offer care for people who can no longer live independently and require 24/7 nursing care. Having a long-term care bed available when it is needed can provide the appropriate care for a patient leaving hospital, or for a senior who is no longer able to remain in the community, making the health system more efficient. In November 2017, as part of Aging with Confidence: Ontario’s Action Plan for Seniors, the government announced that 5,000 new long-term care beds would be created by 2022 and over 30,000 over the next decade. These new beds are in addition to the 30,000 existing beds that are being redeveloped. Since fall 2017, Ontario has been consulting widely with the public on this strategy. Many associations, organizations and community groups have expressed a strong need for more culturally appropriate long-term care homes that provide services and respond to the needs of specific cultural and ethnic groups. In February 2018, Ontario invited existing and new providers to apply for new long-term care beds. New beds that serve specific cultural needs, including those serving francophone and Indigenous populations, will be prioritized. The government will announce successful proponents in spring 2018. The Province will also prioritize reducing wait times for those in hospitals or in the community who would benefit most by long-term care. The needs of long-term care residents are becoming more complex. That is why the government is investing $300 million over three years in new funding, starting with $50 million in 2018–19 to hire a registered nurse for every home, and setting a goal of increasing the provincial average to four hours of daily care per resident by 2022. This will provide residents with more direct, one-on-one patient care, including nursing, personal support and therapeutic care. It will also ensure that every home will have staff with specialized training in behavioural supports and in palliative and end-of-life care. Ontario supports seniors by providing high-quality health and wellness programs. The government’s Aging with Confidence strategy will help ensure that all seniors are able to access the support they need at every stage of life. 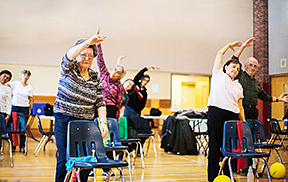 Helping seniors stay fit and connected to their communities by supporting and expanding a network of seniors’ active living centres across the province. The Province is also helping seniors who cannot afford to live independently and require assistance with health care or daily activities such as bathing or meal preparation, by providing 200 new rent subsidies to provide access to affordable housing, as well as home and community care. As part of Aging with Confidence, Ontario is also investing $6 million over three years for expanded access to house calls for seniors, including visits by professional care providers such as social workers, therapists and nurses. With this investment, seniors who are ill will not need to travel to their health care providers. The Province is also expanding OHIP+ to provide free prescription drugs to all seniors aged 65 and over. See the Better Health Care for Everyone in Ontario section in this chapter for more details. Ontario is expanding the Seniors Community Grant program with a new stream focused on supporting projects that are more regional or provincial in scope. This year will see close to 250 projects funded, including more than 30 of the new larger capacity initiatives. These projects will provide programs and activities to 75,000 Ontario seniors. Yee Hong Centre for Geriatric Care in Scarborough — The project will utilize virtual reality technology to provide seniors with virtual access to travel and recreation, which will lead to the development of a guidebook for implementing virtual reality programs that target stimulation of cognitive and sensory motor functions in seniors. St. Joseph’s Care Group in Northwestern Ontario — The project will develop exercise programs in three remote Indigenous communities with a videoconference component to support elders in a culturally holistic context. The program can then be expanded to additional communities in the future. London Arts Council in London — The projects will create arts programs (e.g., drama, dance and music) for seniors and older adults with dementia, leading to the production of a video and online toolkit of best practices, so that other community organizations can build similar programs for seniors. Ontario is committed to building a fair society where people with developmental disabilities can live independent, healthy and inclusive lives. Over the past decade, the government has transformed the developmental services sector to better support approximately 47,000 adults with developmental disabilities through a community-based approach that enables choice and active participation in the community. To enhance continuity across the system, the government introduced supports to ease the transition from youth to adult services, so that care for families remains reliable and uninterrupted. Investments also supported tools to help families navigate available services to ensure that families can make the best informed choices for their households. To ensure more individuals have access to the services they need, Ontario has committed additional investments of over $1.4 billion since 2014 to expand developmental services. Development of work, volunteer and daily life skills through community involvement. Participation in community classes or recreational programs. Provision of temporary respite for their primary caregivers. Through the 2014 Budget investment, 13,000 adults received new direct funding through Passport. Help the child learn new skills and abilities, such as improving their communications skills and becoming more independent. Provide respite support to the family to offer relief from day-to-day care. Eliminating the 2014 SSAH program waitlist provided support to an additional 8,000 children with developmental disabilities. Funding increases of more than $200 million over three years to over 350 community-based agencies to continue the delivery of high-quality services and enhance the capacity of service providers, ensuring long-term sustainability of the sector. Through these additional investments, the government is building on its work over the past decade to transform the way it supports individuals with developmental disabilities. The prevalence of autism has grown among children and youth, with one in 68 identified with Autism Spectrum Disorder (ASD). To ensure that children and youth diagnosed with ASD and their families have the support they need to lead fulfilling lives, Ontario is providing the care needed through the Ontario Autism Program (OAP). Since 2017, the Province has been offering families services that are flexible, individualized and based on the needs and strengths of children and youth through an investment of over $500 million over five years. Parents know their children’s needs best, and their engagement in the planning of care helps to ensure that services are reflective of their child’s goals, needs and strengths. As part of this investment, families are being given the choice of receiving services from a regional provider or receiving direct funding to purchase behavioural services for their child through a qualified provider. To ensure that families who choose the direct funding option have greater flexibility, the Province has increased the maximum hourly rate by 41 per cent to $55. Ontario is investing an additional $62 million in the OAP in 2018–19 to expand current system capacity so that more children and youth can be served through increased behavioural intervention, family supports and training. To further support families, Ontario is making program enhancements that will improve the quality and delivery of OAP services. These include implementing a service provider list to help families choose a qualified OAP service provider, introducing new qualification requirements for clinical supervisors so families feel confident they will receive high-quality services by qualified clinicians, and increasing confidence with the implementation of a new quality assurance review process. The OAP has been shaped by the voices of parents, service providers and other stakeholders, and will improve access to evidence-based services for families across the province, and provide families with greater consistency, choice and confidence in the services their children receive. Ensuring that elementary and high school students with special education needs have timely access to a professional assessment helps learners, families and educators better understand individual needs and chart a path to success. Ontario is committed to further improving outcomes for the one in five students with special education needs. That is why the government is providing over $250 million in new funding over three years to address the current waitlists for special education assessments and improve access to special education programs and services in schools. This investment will provide school boards with capacity to hire additional professional support staff and provide students and educators with the services they need through multidisciplinary teams at each school board, including psychologists, speech and language pathologists, social workers and behaviour specialists. This investment will help school boards address the current wait list for special education assessments by 2021–22, and transition resources over time to a more preventive, responsive approach. The Province is also investing an additional $30 million in the next school year to support students with extraordinary high needs to be successful in school. This increase in the Special Incidence Portion (SIP) of the Special Education Grant supports the costs associated with education assistants, and helps to address the health and safety needs of both the students and others in schools. This new investment is equivalent to more than 500 education assistants. In addition, the Province is enhancing autism supports in schools to help children transition to, and continue in, full‐time school. The Province will continue to invest in after‐school skills development program pilots to provide students with additional opportunities to develop targeted skills outside the instructional day and to better equip them for classroom success. Ontario continues to be a leader in accessibility to ensure that people of all abilities can move through life with confidence and independence. With passage of the Accessibility for Ontarians with Disabilities Act, 2005 (AODA), the government has established accessibility standards in five key areas of daily living: customer service, information and communications, employment, transportation, and the design of public spaces. New standards for the health care and education sectors are also under development. Moreover, the government recently hosted a stakeholder forum to begin the conversation towards a more accessible built environment in communities. The implementation of the AODA has resulted in significant progress towards making Ontario a barrier-free province by 2025. Stratford has taken major strides in integrating accessibility within its community, while maintaining its historical design. Recent changes include making store entryways the same grade as sidewalks and implementing measures to improve accessibility at the market square. Additionally, an accessible walking park and picnic area have been added to the county archives building, which has also been retrofitted to include accessible research and meeting rooms. Ontario is at its best when all members of society thrive and contribute to the economic well-being of their communities. While the province’s economy is strong, not all Ontarians are benefiting equally. Providing support for those who need it most is a testament to Ontario’s commitment to care. That is why the government is moving forward with income security reform, a multi-year strategy that focuses on improving benefits and services so that everyone has the chance to live healthy, secure lives. Guided by the Income Security Reform Working Group’s report, Income Security: A Roadmap for Change, the strategy seeks to simplify social assistance programs and relieve administrative barriers faced by people accessing social assistance. Once implemented, these changes will increase benefits and reduce the burden of complex rules and reporting requirements for recipients and front-line staff. Eliminating punitive rules and simplifying the system will help build a culture of trust and collaboration. Through these changes, the government will ensure that social assistance programs can focus on providing early and appropriate supports that empower individuals and families. As part of its multi-year plan, the government will simplify the structure of social assistance rates. Currently, people accessing social assistance who are living in an accommodation where they share meals or meal preparation facilities with others are considered boarders or lodgers, and may receive a lower rate compared to those who rent or own a home. To ensure fairness, those considered boarders and lodgers will be given the same rate available to recipients who are renters or own a home, starting in fall 2018. As a result, boarders or lodgers will no longer be subject to detailed questions about their living circumstances. Starting in 2020–21, a new standard flat rate will replace the current complex rate structure for recipients who rent or own a home, which currently includes separate basic needs and shelter rates. This change will eliminate the need for recipients to report housing cost details and increase income support for people experiencing homelessness. Limits on savings in Tax-Free Savings Accounts or Registered Retirement Savings Plans (RRSPs) will be eliminated, starting in September 2018. Limits on cash and other liquid assets will increase to $15,000 for singles and $20,000 for couples receiving Ontario Works and will be fully eliminated for those receiving Ontario Disability Support Program Benefits, effective during the 2019–20 fiscal year. The duration of living together for the definition of a “spouse” will change from three months to three years, consistent with the Family Law Act. As a result, a social assistance recipient will be able to live with a partner to whom they are not married, for three years before the income and assets of the partner are considered in determining eligibility for social assistance. Other benefits and allowances, including the Personal Needs Allowance and Comfort Allowance, which are available to those residing in institutions, long-term care homes and emergency shelters, and will be increased by two per cent annually for the next three years, starting in fall 2018. Increasing the amount of employment income that can be earned without impacting social assistance benefits to $400 per month from the current $200 per month, starting in fall 2018. In 2019–20, further raising the amount that can be earned to $6,000 per year without impacting social assistance benefits. Calculating the earnings exemption on an annual basis will help stabilize incomes of people accessing social assistance and improve employment outcomes. Starting in 2020–21, the $6,000 per year exemption will apply to income from Canada Pension Plan Disability, Workplace Safety and Insurance Board or Employment Insurance. Expand eligibility for the Remote Communities Allowance to more First Nation communities, including those that are north of the 47th parallel or do not have year-round road access, starting in fall 2018. As part of the multi-year plan, the government will develop a made-in-Ontario Market Basket Measure that could serve to inform future decisions about rate increases and reforms to the income security system. Overall, the government will invest an additional $2.3 billion over the next three years to foster a system that is better able to support the diverse needs of those accessing social assistance. The government is committed to identifying ways to improve the quality of life for people across Ontario. Studies have shown that living in poverty and working in precarious jobs can impact the health and well-being of individuals and their families. To develop evidence-based ways of supporting vulnerable people in today’s changing economy, Ontario launched a three-year Basic Income Pilot in spring 2017. The goal of the pilot is to test whether a basic income is a more effective and less intrusive way of providing income support, while improving food security, housing stability, physical and mental health, and access to health care. The pilot is also exploring the potential effect of a basic income on participation in education and employment. As of March 2018, there are over 4,000 pilot participants, including comparison group members, in Hamilton, Brantford and Brant County, Thunder Bay and surrounding area, and Lindsay. United Nations Committee on World Food Security (CFS), 2001 State of Food Insecurity Report. Initiatives that increase northern access to food through reducing costs and environmental impacts of the retailing, storage and transportation of food. This study was among the five most voted for ideas for funding through Budget Talks, an innovative online public consultation tool. The amount of food wasted by society is staggering. Ontarians generate about 3.6 million tonnes of waste from food and organic materials annually — equivalent to about $12 billion — with more than 60 per cent sent to landfill. This initiative will expand an existing 2017 Budget Talks food pilot, which intercepts food that would have gone to waste from businesses such as supermarkets, restaurants and hotels, and redistributes it through social service organizations to people in need. Everyone deserves a safe and affordable place to call home. When people have access to affordable and adequate housing, they can thrive in their communities and in their jobs. That is why the Province is investing more than $1 billion each year in affordable housing. This ongoing investment in housing assistance and supports across Ontario includes funding that will help up to 6,000 families in need remain permanently housed — a major step towards the government’s goal to end chronic homelessness by 2025. This investment is targeted to help people in four priority areas: youth, Indigenous peoples, chronic homelessness, and those who are homeless following transitions from provincially funded institutions and services such as hospitals. The Province is also committing $547 million over five years for repairs and retrofits that will help support the energy efficiency and long-term sustainability of social housing buildings. It will also help improve living conditions and fight climate change. 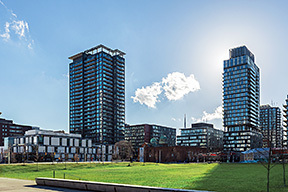 The redevelopment of Regent Park is one example of how Ontario is providing affordable housing in vibrant communities. A strong and sustainable non-profit and cooperative housing system is essential to supporting social and economic inclusion for low-income Ontarians. Ontario is investing $3 million to establish a Cooperative Housing Development Fund that will encourage the creation of new cooperative housing. The fund will facilitate proposal development for projects that could leverage federal funding. New cooperative housing developments will increase fairness in the housing market by creating mixed-income communities. The Province is also working with the non-profit sector to help meet Ontario’s housing needs by providing $5.8 million over three years to Habitat for Humanity to establish a Build Factory in Burlington. At this facility, components for safe, decent and affordable homes will be assembled and transported to as many as 120 Habitat for Humanity construction sites across Ontario. This investment will increase the supply of affordable housing for low-income families, expand community partnerships, increase community engagement and reduce the environmental footprint of the building process. Ontario is transforming its criminal justice system to adapt to the ever-changing needs, circumstances and expectations of the people of Ontario. Many vulnerable and marginalized people pass through the criminal justice system due to a variety of complex socioeconomic, addiction and mental health factors. This makes it necessary to provide a holistic and integrated approach to divert vulnerable individuals away from the system through meaningful and early interventions. Ontario is continuing its efforts to transform and modernize the criminal justice system by developing an integrated strategy that brings together various sectors, including health, social services and education. The goal is to achieve better outcomes, including prioritizing individuals’ rehabilitation and reintegration into the community. In 2017, the government invested in increasing the number of judges, improving the bail system, and adding more front-line corrections staff to enhance health and social supports. These investments have resulted in outcomes such as reducing the number of individuals remanded to correctional facilities, and increasing the number of cases with a bail determination made at the first court appearance. Moreover, there has been a nine per cent reduction in the number of cases that take more than 18 months to process. Increasing transparency and accountability by establishing an Independent Inspectorate to ensure compliance with the new legislation, regulations and human rights principles. Moreover, mechanisms would be established to review and adjudicate segregation cases of more than five days. Building two new multi-purpose correctional centres in Thunder Bay and Ottawa. Thunder Bay Facility — A new 325-bed multi-purpose correctional centre to replace the existing Thunder Bay Jail and Thunder Bay Correctional Centre. Ottawa Facility — A new 725-bed multi-purpose correctional centre to replace the existing Ottawa-Carleton Detention Centre. The new modernized correctional facilities will help drive reform by creating venues for rehabilitation by developing much-needed programming space to create better outcomes for those in care and custody. The Province is also investing in renovation projects of its aging correctional facilities to improve conditions and provide programming space for reintegration and rehabilitation activities. Ontario is investing in Community Justice Centres (CJCs) to improve the delivery of justice to vulnerable accused people and their families. These centres will improve outcomes for offenders and communities by addressing root causes of crime and criminal behaviour. By moving away from the traditional courtroom setting, engaging in individualized risk and needs assessments, as well as co-locating and integrating service delivery of justice, health and social services, CJCs will improve outcomes for offenders and communities. Moreover, these centres will connect offenders to critical services that promote eventual reintegration — including substance abuse counselling, employment training and supportive housing — in order to help minimize incarceration by providing meaningful alternatives for low-risk accused. Following community consultations, CJCs will be established in Kenora, Toronto and London to meet the distinct needs of each community. Reconnecting Indigenous peoples with their culture and language. Supporting increased Indigenous leadership in the provision of traditional and restorative criminal justice practices. Exploring satellite justice hubs in Sioux Lookout and Timmins to maintain community connections and supports. Improving the social determinants of health by promoting continuity of care. Increasing harm reduction and therapeutic options. Facilitating increased information sharing and coordination of services between local agencies and service providers. Address issues relating to mental health, substance abuse, education and employment for transition-aged young adults. Be designed to reflect evidence-based data on young adult neurological and emotional development. Focus on education, training, life skills and employment. Ontario’s Strategy to End Human Trafficking, which focuses on prevention and early intervention, and expanded and improved community services for survivors. Between 2015 and 2017, there was a nearly 40 per cent increase in requests for sexual assault counselling in the Victim Quick Response Program, and as a result, demand for key services has increased. Ontario is building on its commitment to create a province free of gender-based violence through its comprehensive new strategy — It’s Never Okay: Ontario’s Gender-Based Violence Strategy — announced in March 2018. The Province is investing up to $242 million over three years to help support survivors and their children and to end the cycle of violence. This new strategy provides an overarching framework to respond to an increased need for core and culturally appropriate services such as shelters, counselling, sexual assault centres and assistance in navigating the court system; and to address further needs of survivors of gender-based violence. Improving the justice system response. In the wake of trauma from domestic violence, ensuring physical safety is the first step to helping women rebuild their lives. Through this strategy, up to 1,000 more women and children will have access to safe beds in shelters, at least 600 women will receive transitional housing supports and more individuals from diverse populations will receive inclusive, culturally appropriate services. To advance the creation of safe spaces for survivors, Ontario will provide investments that improve accessibility of shelters as well as more spaces at Indigenous shelters to increase access to culturally appropriate support. Because violence is most likely to occur at a time of family breakdown, Ontario is increasing funding to help survivors navigate the family court process. This increased investment in the Family Court Support Worker Program will support survivors who may be at a heightened risk of violence. The Province is also increasing supports for Victim Services Programs that provide trauma-informed supports and crisis response to victims of crime, including domestic violence, sexual assault and human trafficking. In 2015, Ontario launched an Action Plan to Stop Sexual Violence and Harassment, recognizing a growing need to combat sexual assault and harassment in our society. More recently, in part because of wide-scale movements and initiatives such as #metoo and Time’s Up, sexual assault has become a focal point of society, and there has been an increased demand to bolster support for legal advice and services for survivors of sexual assault. In response to these increased needs, Ontario will expand its free independent legal advice program for survivors of sexual assault provincewide, empowering them to make an informed decision about their next steps after a sexual assault has occurred. Canada’s first dedicated LGBTQI2S Community Legal Clinic will be piloted to address unique legal needs and facilitate training on safer and inclusive spaces for more than 70 community legal clinics across Ontario. In addition to victim services, the government is committed to breaking the cycle of gender-based violence at the offender level, with increased investments across all 53 Partner Assault Response Program providers. The Province is also developing new policing standards on sexual assault and domestic violence investigations. As many as 2,000 more women and children will get access to counselling, along with long-term support to transition from crisis to stability. Furthermore, a range of services including counselling and witnesses support services, will be expanded to intervene early with children and youth who have experienced the trauma of gender-based violence. Ontario is also increasing its investments in women’s centres. See Chapter II: Growing the Economy and Creating Good Jobs for more details. Through the expansion of the Mental Health and Addictions Strategy, the Province is also investing in targeted mental health supports for those who have experienced gender-based violence. The government is also working to provide enhanced support for victims of gender-based violence in the workplace. Bill 148, the Fair Workplaces, Better Jobs Act, 2017, contains a specific provision for up to 15 weeks off without the fear of job loss in situations when a worker or their child has experienced or is threatened with domestic abuse or sexual violence. Professional development programs will be expanded to help employers and workers recognize and intervene in situations of violence. Training on recognizing signs of domestic abuse or gender-based violence and understanding how to respond appropriately are increasingly necessary in the hospitality sector, postsecondary institutions, subsidized housing and child care. Workers within those sectors, such as servers, campus security guards, housing service managers and early childhood educators, will be given the training and tools they need to recognize signs of violence or abuse and appropriately intervene in their workplaces and with their clients. Through these and other programs, the government is reinforcing its commitment to the people of Ontario — whether as employers, family members or workers — to help everyone identify domestic violence, sexual violence and harassment, help survivors and create an environment of safety throughout the province, ultimately bringing an end to gender-based violence. See Chapter II: Growing the Economy and Creating Good Jobs for information relating to the government’s women’s economic empowerment strategy. The chart outlines five areas of government investments in Ontario’s communities. Improving access to a full range of mental health and addictions services for children, youth and adults across Ontario. Investing in hospital care to increase access and improve wait times for high-quality procedures and innovative clinical practices. Expanding access to vital home and community health care for about 670,000 people and their families. Free preschool for children aged two-and-a-half until eligible for kindergarten, starting in September 2020. Continuing to increase access to affordable child care so that more children and their families can benefit from high-quality licensed care in safe, convenient settings. Improving access to services for survivors of gender-based violence. Enabling choice, independence and inclusion for individuals with developmental disabilities. Simplifying benefits, increasing income supports and reducing the burden of complex rules for those accessing social assistance. Piloting a basic income that provides support to lower-income people. Continuing to increase access to long-term care by adding 5,000 new beds by 2022 and creating more than 30,000 over the next decade. Expanding OHIP+ to seniors in August 2019 to provide free prescription medications. Up to $750 per year to help seniors who are 75 years or older cover the cost of maintaining their homes. The Ontario Drug and Dental Program would provide support to precarious workers and others without a health plan. The program would provide an 80 per cent reimbursement, up to an annual maximum, for eligible drugs and dental costs. For example, an eligible family of four could receive up to $700 towards their drug and dental costs each year. This map shows health infrastructure projects across Ontario under construction or renovation in 2018–19. North: Health Sciences North involves renovation and new construction of educational facilities in Sudbury to accommodate the space requirements for the Northern Ontario School of Medicine of Lakehead University and Laurentian University. St. Joseph’s Care Group Expansion involves construction of a new wing in Thunder Bay for specialized mental health care beds and related programs to consolidate services and incorporate current design standards for mental health care. Eastern: Brockville General Hospital Redevelopment involves new construction and renovations to consolidate services and beds related to acute mental health, Complex Continuing Care, inpatient rehab and other programs. University of Ottawa Heart Institute involves construction of a new multi-storey addition and renovation of the current building to expand and relocate Cardiac Life Support Services. Central: Mackenzie Health’s New Vaughan Hospital will accommodate emergency and surgical services, acute inpatient and intensive care beds, diagnostic imaging, and specialized ambulatory clinics. Etobicoke General Hospital involves the construction of a new tower to support patient services such as the emergency department, critical care services, and maternal child services. Joseph Brant Hospital Redevelopment and Expansion involves construction of a new South Tower and renovations in Burlington to existing departments to address immediate patient care priorities. Southwestern: Groves Memorial Community Hospital is receiving funding for the replacement of the facility to support acute and non-acute care services in Fergus. Grey Bruce Health Services involves the construction of a new building to include a 24-hour emergency department as well as additional outpatient services at the Markdale site. 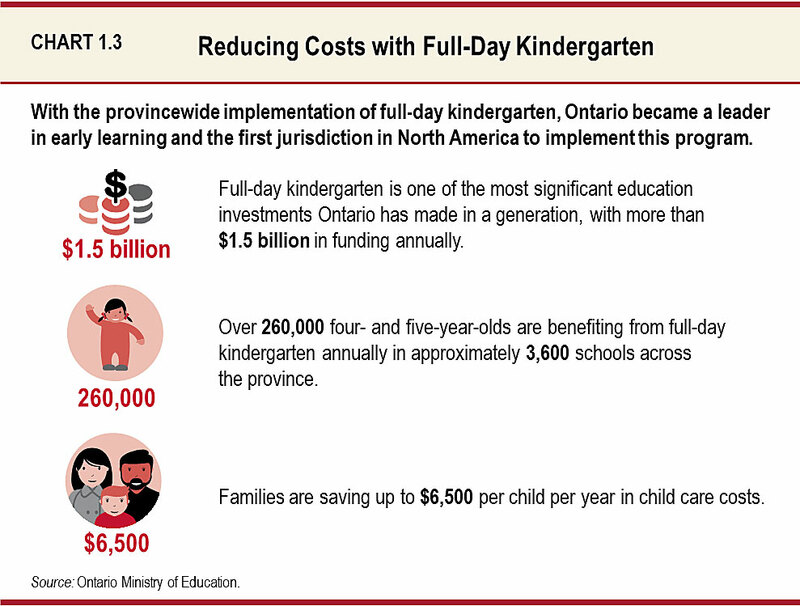 This graphic describes how, with the provincewide implementation of full-day kindergarten, Ontario became a leader in early learning and the first jurisdiction in North America to implement this program. With more than $1.5 billion in funding annually, full-day kindergarten is one of the most significant education investments Ontario has made in a generation. Over 260,000 four- and five-year-olds are benefiting from full-day kindergarten annually in approximately 3,600 schools across the province. Families are saving up to $6,500 per child per year in child care costs. Source: Ontario Ministry of Education. A service team would be able to refer members of the public to critical referral services, including safe beds, bail beds, detox facilities, residential addiction treatment and supportive housing. 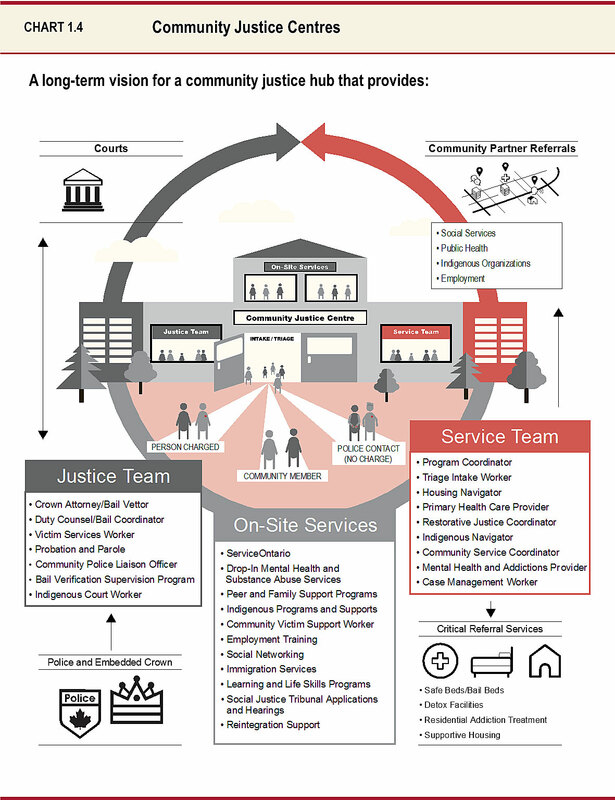 A service team also refers members of the public to community partners, such as social services, public health, Indigenous organizations and employment services. Ontario launched the #WhoWillYouHelp campaign as part of It’s Never Okay: An Action Plan to Stop Sexual Violence and Harassment. The #WhoWillYouHelp video received over seven million views within 10 days of its release. The campaign has sparked discussion about sexual violence in Ontario and around the globe, with 85 million views worldwide and ONgov Facebook posts reaching over 1.9 million, establishing a new benchmark for an Ontario government campaign. 55 per cent strongly agreed they had an obligation to intervene when witnessing sexual harassment, up from 37 per cent before the campaign launched. 92 per cent agreed they had an obligation to intervene if they witnessed sexual violence, up from 81 per cent. 83 per cent agreed that if they witnessed sexual assault and did not intervene, they were making the decision to allow it to continue, up from 77 per cent. Ontario is working with other jurisdictions in Canada and beyond that have expressed interest in adapting this campaign. Valerie Tarasuk, Andy Mitchell and Naomi Dachner, “Household Food Insecurity in Canada, 2014,” Toronto: Research to Identify Policy Options to Reduce Food Insecurity (PROOF), (2016). Chiefs of Ontario, “First Nations Regional Health Survey (RHS) Phase 2 (2008/10) Ontario Region Final Report,” (2012).